If you live long enough you will face overwhelming situations in life. To be overwhelmed is to be so strongly impacted by something that you don’t know what to do about it. It’s that place where the debt appears so huge compared to your income. It’s that place where the lies being spread about you seem to be overshadowing the truth. It’s that place where you feel the strength you have is too small to handle the life you have. The good news is that God has made provision to ensure that we are NEVER TRAPPED BY THE THINGS THAT OVERWHELM US. 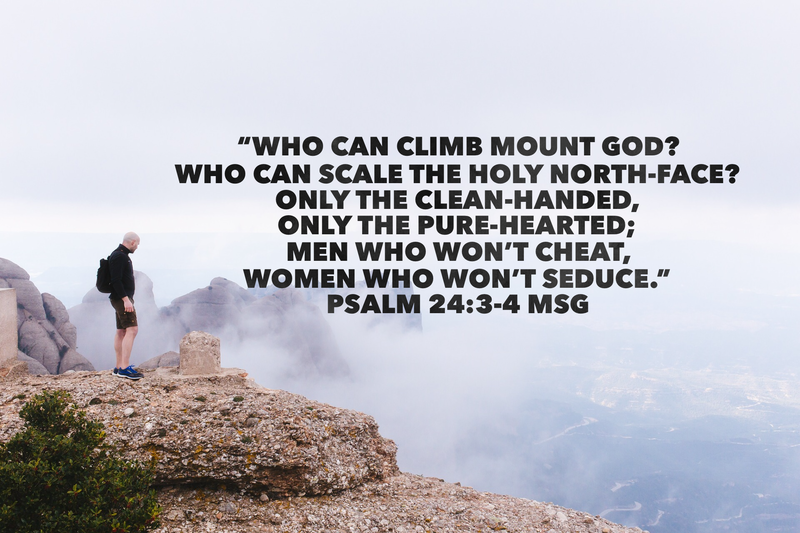 He has made provision to lead us to a higher place. A rock that is higher! For every overwhelming situation you face, please know this, God has already prepared a higher rock…a place of safety! In the midst of the overwhelming situations you face the temptation is to ignore the simple instructions God gives. That’s a mistake! Don’t fall for it! Every instruction to forgive, or to try again, or to believe that your best is still to come, every instruction God sends you in the season you are overwhelmed is an attempt by God to lead you to that rock that is Higher than you. God does not promise to cause you to skip any season of your life, however overwhelming it is. But He promises to instruct, teach and guide you through every season! That’s why even if you make your bed in hell as the psalmist says in Psalm 139:8, He there! He is there to guide you through hell and into His will for you. I pray that you find the courage and the boldness to listen to God’s instruction to you especially in the seasons where you are overwhelmed. I pray that this will be the day that you rise above those things that have seemed to drown and overwhelm you. I pray that this will be the season where you yield to the God who is waiting to lead you to a rock, higher that you. Thank you for reading this.I am praying for you.